I feel kinda funny calling this a recipe because it’s so dead easy. But I’ve made it three times, and every time, Dave exclaims about how delicious it is. Seems worth sharing. A few minutes later, I was back in the kitchen grabbing ingredients. Heat a soup pot over medium-high heat and allow the fat to melt. Add the sausage coins to the pot and cook until browned. Add the canned tomatoes and the pizza seasoning. Stir to combine. Pour in the broth, then add the broccoli. It can be frozen or defrosted; doesn’t matter. Ladle into deep bowls, then drizzle with a teaspoon of high-quality olive oil and a sprinkle of black pepper. Mange! Yes, you can make it with fresh broccoli and/or tomatoes, but then it’s not 10-minute soup ’cause of the chopping. Yes, you can use other kinds of meat or sausage. If you have some sliced mushrooms around, toss those in while browning the sausage = yum! I am goin to try this this week! Thanks! Ok, I've ordered pizza seasoning from Penzey's, so next week's menus will be featuring this delicious-sounding soup! Hey, guys! Be sure to let me know what you think — and if you make any cool mods to it. Just in time for "soup weather"! YUM! 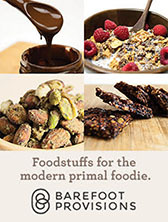 would this be considered a paleo style recipe? Steph, absolutely! Be careful with the sausage… the kind I buy has only chicken and spices in it, no chemicals or additives. If you can't find 'clean' sausage, I'd recommend using ground beef. Just saute it with garlic and oregano, then follow the rest of the instructions for the soup. Be sure to use high-quality ingredients: organic broth, frozen veggies that have nothing in them but the veggie, Muir Glen tomatoes (or similar… again, you're looking on the label to make sure there's nothing funky hiding in the ingredients list). 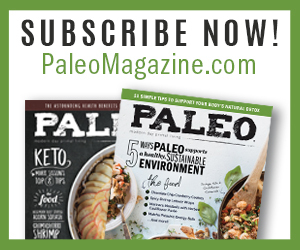 Thanks –i am starting to explore the world of paleo eating for my entire family! Fantastic! Good for you. Email if you have questions. Do you have a gazpacho recipe to recommend? I have a few but am always looking for the perfect gazpacho to end all gazpacho questing. I love cold soup in the heat wave. I’m sorry, Amy, I don’t have a gazpacho recipe because (shhh…) I don’t particularly like gazpacho. My favorite resources for recipes are Cook’s Illustrated and SimplyRecipes.com. This recipe makes a large quantity because the leftovers are so good, but it can be halved if you prefer. Traditionally, diners garnish their gazpacho with more of the same diced vegetables that are in the soup, so cut some extra vegetables when you prepare those called for in the recipe. Additional garnish possibilities include simple garlic croutons, chopped pitted black olives, chopped hard-cooked eggs, and finely diced avocados. For a finishing touch, serve in chilled bowls. 1. Combine the tomatoes, bell peppers, cucumbers, onions, garlic, salt, vinegar, and pepper in a large (at least 4-quart) nonreactive bowl. Let stand until the vegetables just begin to release their juices, about 5 minutes. Stir in the tomato juice, hot pepper sauce, if using, and ice cubes. Cover tightly and refrigerate to blend flavors, at least 4 hours and up to 2 days. 2. Adjust the seasonings with salt and pepper and remove and discard any unmelted ice cubes. Serve cold, drizzling each portion with about 1 teaspoon extra-virgin olive oil and topping with the desired garnishes. Thanks for letting me know you like it, Beth! It’s a super nutrition band-aid, right?! I usually have all the ingredients in the freezer and pantry so it saves the day a lot. Love the spinach mod! 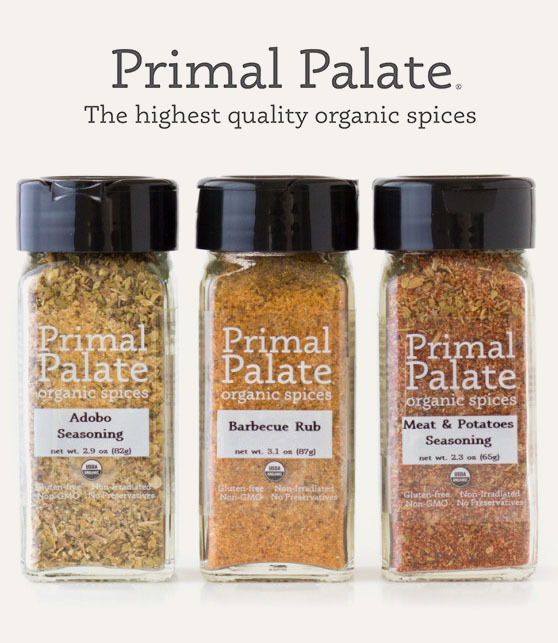 I just discovered a new spice vendor, and I’m going to try some of their blends. I’ll keep you posted on if they’re yummy. Melissa, this soup was THE BEST!!!! I didn’t have official pizza seasonings so I just added the flavours I put on a traditional pizza and happened to use crushed tomatoes instead of diced (kids didn’t want added stuff, so that was sufficient to fool them. Suckers) I added a whack of broccoli and mushrooms to my bowl and am dreaming of having it again for tomorrow for breakfast. I’m so glad you like it. Thanks for letting me know! I made it one night out of desperation, and it’s become a favorite. Love the idea of eating it for breakfast. It would be really good with a fried egg on top! Made a version of this last night…I cut up some onions and let those cook in the broth (chicken was all I had) while I made little meatballs, then threw those in to cook too. Broccoli wouldn’t fit in my pot (next time I’ll use a bigger one! ), so I left it out, but threw in a handful of spinach I had leftover. Yummy! 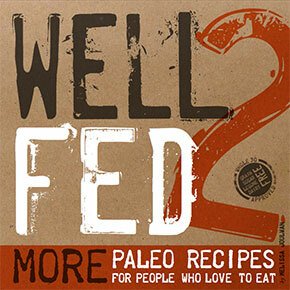 Sorry to be the bearer of bad news: lentils are legumes, so they’re out for strict paleo. Bummer, right?! The thing that’s great about paleo is that if you avoid inflammatory foods most of the time (80-90% of the time), you can indulge once a in a while. So you don’t have to give up lentils forever and ever — they just can’t be an everyday food. And lentils are way, WAY better indulgence than, say, anything with gluten in it. Made this last night….sooooo yummy and bonus: a great hit with my kids. Definitely a keeper. Thanks so much for posting this and all your awesome recipes!! Thanks for letting me know you liked it! I love that it’s so fast — perfect for when you’re too tired to cook. I just looked up the pizza seasoning to check it out, and I noticed that Penzey’s has sugar in it. Boo. It’s probably a miniscule amount, but I might try to come up with a sugar free pizza blend though since I’m doing a whole 30. Hey, Susan! Yes, it’s a sad truth that Penzeys pizza and sausage seasonings both include trace amounts of sugar. 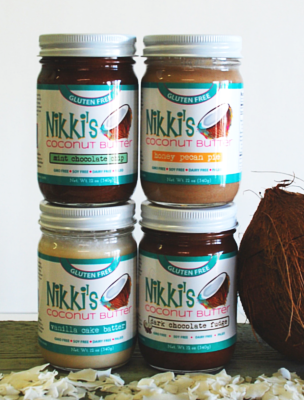 I created sugar-free versions of both that are in my cookbook Well Fed. 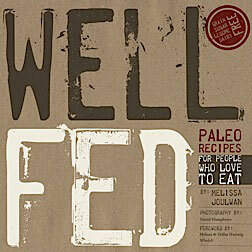 They’ll eventually make it to the blog, but if you want them now, pick up a copy of Well Fed. Thanks, Mel, I did just that! Got Well Fed in the mail, got a fridge full of yummy proteins and a just opened CSA farm produce box… now let the fun begin! Hooray! Glad you’re digging into Well Fed and cooking up a storm. WOOHOO! Made this tonight and it was a hit even with my picky, vegetable-avoiding, children. I also tried your comfort “pasta” dish which was also excellent! I’ve been enjoying your blog this weekend. I am trying to move our whole family towards a lower carb diet, not only because it’s healthier, but also because our 11 year old son was recently diagnosed with type 1 diabetes and I think his blood sugars will be more stable if he restricts carbs. Not sure how to make a paleo diet work on a budget however; we have 9 kids! I went to Penzy’s today and bought the Pizza Seasoning so I could make this tonight! AND….I made this last night instead of Monday night. SO GOOD. I bet leftovers will be even better today after the seasoning blend more. And it was ridiculously easy to make. Thank you for a great soup idea! I made this for us this past Friday night- and almost made it again last night, because it’s SOOO GOOD! Thanks a million! Love this soup! just made it today, was quick, simple and DELICIOUS! such a great soup for any chilly day! Just finished this soup with 1, one-added-minute variation: I chopped half an onion and added it to brown with the sausage and diced mushrooms. Delicious. Thanks for the idea! Was looking for something quick and easy to do with some Italian Sausage I had and this looked perfect. It was SO easy and so delicious. I didnt have the seasoning so I used italian herbs, garlic powder and red pepper flakes. Used spinach instead of broccoli and our sausage was zesty which added some spice. This will quickly become a new staple in our house. Looking forward to a lunch of leftovers tomorrrow! Yum! Spinach is a great mod for this one. Love it! Love this soup…I always have it on hand because it is so satisfying. The Penzy’s absolutely makes a huge difference. Thanks for this great recipe. Wow this is delicious. I subbed out the broccoli (since I didn’t have any) I put in cup of frozen onions and peppers, cup of portabella mushrooms, and a cup of spinach. It is actually more the like the pizza toppings that I like anyways. I will be having leftovers for lunch and thinking about when I am going to make it again. I can’t believe how good this was. I’m sorry to say I wasn’t very optimistic, but I told my husband you haven’t steered us wrong yet. Next time I make it I’m going to do half broccoli and half cauliflower. Love the idea of kale in it as well. 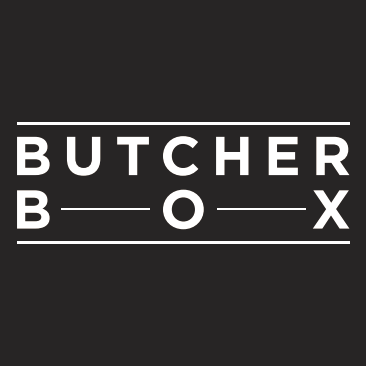 Super easy and so delish – thanks again for another great meal! I understand your skepticism, but rest assured, I will NEVER post a recipe for something I don’t love. I’m glad you gave this a try because it’s awesome for a last-minute dinner. I was also skeptical of this one after seeing how simple it was, but had to try it based on the reviews. Unbelievably delicious. I made just a few small tweaks. Unreal how good it is!!! Thank you for being so awesome. Can’t wait for Well Fed 2! Just made this with trader joes Italian chicken sausage, spinach and the penzeys pizza seasoning – it tasted so much like pizza that I could practically taste the cheese! Thanks for another great recipe. Hi I’m new to this whole thing. Actually my first day on Whole30. Where do you buy Italian Sausage without the additives? Also Bacon Pancetta Etc. Sausage is tricky. There are no national brands that are clean, so you have to become a detective and look at your local store for possibilities — or try a farmer’s market. 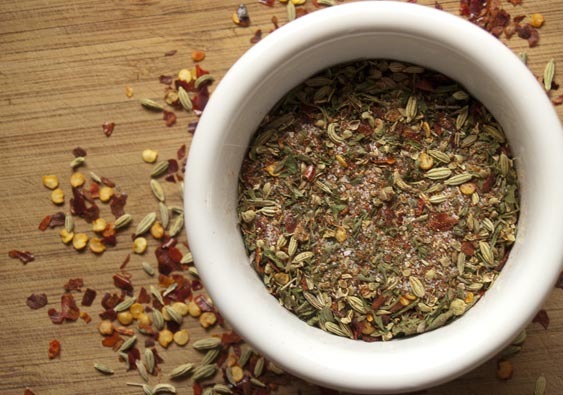 Also, my first cookbook Well Fed (http://amzn.to/NGfMcv) includes a recipe for Italian Sausage Seasoning. Just mix it with ground meat, then brown in a skillet, and use that for this soup. YUMMY! didn’t spend time reading all of these posts..anyone notice Penzeys pizza seasoning lists sugar as an ingredient? Though that was a no no for Paleo? but could i just other spices instead of penzeys? Made this and wept with joy. Perfect lunch fare cause the smell makes my co nurses jealous! BONUS! Day 9 on Whole30! Can you tell me a brand of beef or chicken broth that does not contain sugar? Also, if, for instance, the brand of tomato sauce has no sugar or names for sugar listed in the ingredients can you assume that it is OK even though on the nutrients is says sugars 1 gm?- that the sugar is just what God put in the tomato? Yes, canned tomatoes and sauce without ADDED sugars are fine. 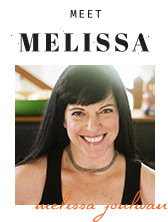 Melissa – you are 3 for 3! First I fell in love with the chocolate chili. Then I discovered the gingered zucchini soup. And now your pizza soup. I didn’t have Penzey’s spice, but hey, I’m italian – I figured out what would work well 🙂 Kudos! Hooray! I’m so glad you like it! Made this last night and it rocked!! Instead of slicing the sausage in coins I took it out of the casing and just broke it up so it was kind of crumbly. Then, instead of making it on the stovetop I just threw it in the crock pot overnight! It came great. Can’t wait to make it again! 🙂 ps. In ADDICTED to your parsnip fries!! I’ve been dying to try this and finally did, though I totally winged it with substitutions. I used Applegate Farms chicken apple sausage, roasted butternut squash, onion, garlic and spinach. Still great! I like to use extra-virgin olive oil for this one, but you could also use avocado oil, pastured lard, or coconut oil. They all taste great. Mel! I made this tonight and it’s awesome. I’m a little surprised by your recipe list on this one, as I feel like “half a bag” of chopped frozen broccoli isn’t super helpful. How big of a bag are we talking about? I saw a few sizes in the freezer section. HA! It’s an old recipe… you can see how far my recipe-writing skills have come 🙂 I think I used a 10-ounce bag, but really, it doesn’t matter. Go nuts with the broccoli if that makes you happy. I was gifted exactly half a bag of frozen broccoli from my dear mother-in-law back in December when we had the flu, and it stayed in the freezer, waiting patiently. For what, I did not know. Well, you have triumphed yet again! It was danged easy and danged good. We slurped up the leftovers the following day, and I just want to thank you for making me a Valentine’s Day kitchen goddess. That’s AWESOME! I’m glad this little recipe made your Valentine’s Day dinner a good one. YAY!